Erin & Brad’s artistic Brooklyn wedding was, to put it mildly, an absolute blast to shoot and be a part of. 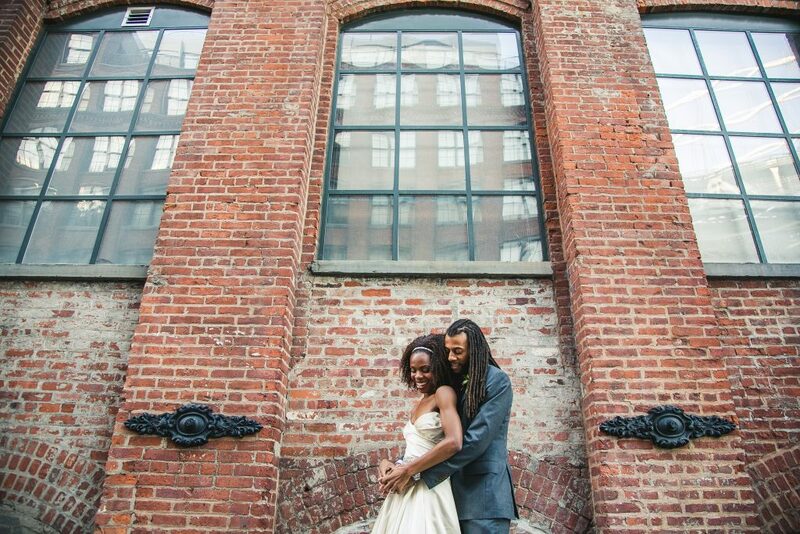 They got married at the newly-renovated 501 UNION, a totally rad warehouse-style event space originally constructed in 1916 to restore classic cars. These two were incredibly laid back, and were down to shoot some portraits at the Brooklyn Bridge promenade and a few other iconic locations in DUMBO.